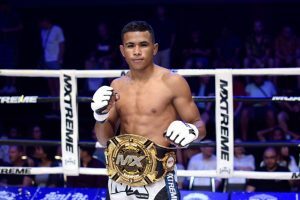 The 19 year-old from Ceará just knocked out his third fight in the tournament and is MX Muay Xtreme champion up to 60kg. 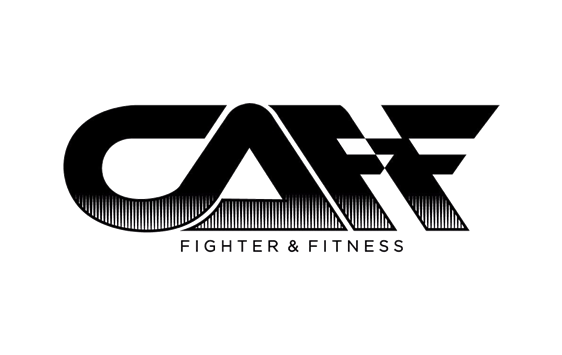 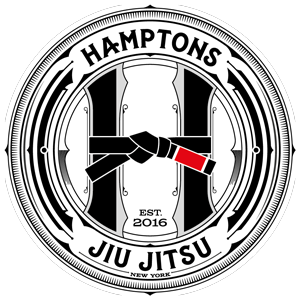 The Brazilian fought every two weeks and today in the final won the Hawaiian Christian Hyatt by knockout within 30 seconds of the first round. 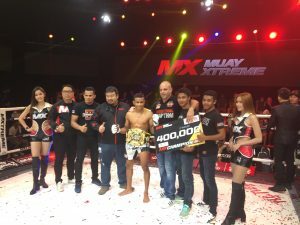 Walter Gonçalves won his third title in less than 12 months after winning a GP at Phetbuncha in Koh Samui, the WPMF title in Bangkok, and now the MX belt that brings muaythai with MMA gloves.